About | 48 Hour Party! 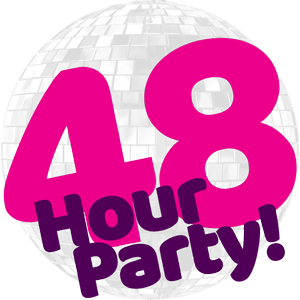 The 48 Hour Party has become one of the UKs most successful 80’s music events since it was first launched over five years ago by Pontins, the famous British holiday resort. Over the years this action packed blast from the past has attracted huge acts such as Alex Party, Chesney Hawkes, Go West, Toyah, D:Ream, Alexander O’Neal, The Real Thing and many many more. Originally taking place at Camber Sands in Sussex, The 48 Hour Party has expanded to the North at Southport in Merseyside. Celebrating the hits and artists of the 80’s has been at the core of this even since the beginning always attracting all ages and anyone who wants to party all night long! 23rd – 25th September 2016 at our Southport Park. Alternatively join us at our Camber Sands Park on the 18th – 20th March 2016. In 2014 we once again entered new territory, 2015 will be no exception. Mark the return of 48 Hour Party – 90’s Reunion, there are brilliant headliners and supporting acts, plus some amazing tributes and they’ll all be performing under one roof in an incredible show you’ll never forget! Our 90’s events are taking place at Southport Park on the 4th – 6th December 2015 & 17th – 19th June 2016. Alternatively join us at our Camber Sands Park from 9th – 11th October 2015 & 14th – 16th October 2016. NEW IN 2015 – PARTY WEEKENDERS! Featuring a Mix of the biggest and best party acts from across generations, This was a huge hit and will be returning in 2016 while also extending to now include Southport. Join us at Brean on the 13th – 15th May 2016 or Southport on the 25th – 27th November 2016. 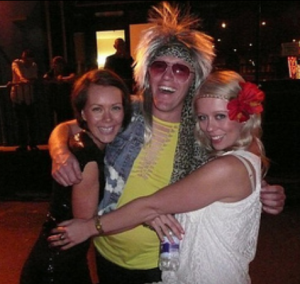 Party Weekenders feature the best entertainment spanning all the generations: 80s, 90s and Now! Relive the party and the legends at this unmissable weekend! There are brilliant headliners and supporting acts, plus some amazing tributes and they’ll all be performing under one roof in an incredible show you’ll never forget!